Just as the Zionist-Wahhabist funded Daesh terror is ending in Syria, with the able armed assistance of Russia, Iran, Kurdish and Hezbollah, the US military decided to openly send hundreds of troops into the region, as its puppet Turkish military has done so in advance. They all want to have a large piece of the Syrian pie now that the smoke is getting clearer, and even if, in the first place, they are the reasons why it had taken so long for the Russian-led intervention to recover all major Daesh occupied cities, except the last terrorist foothold of Raqqa. 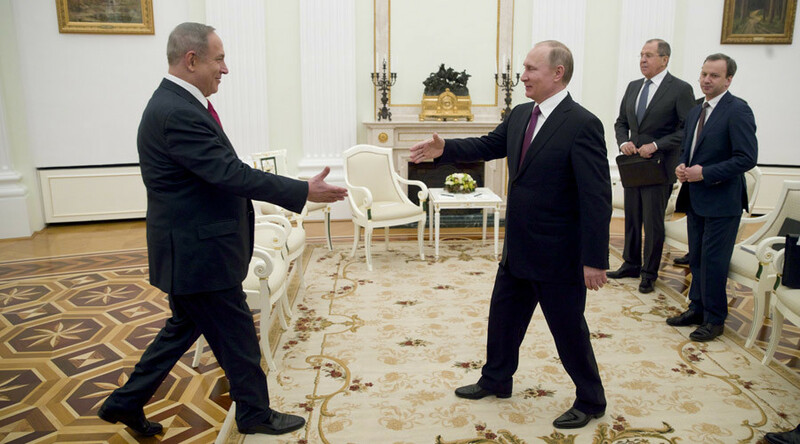 What is definitely disgusting for the Russians is the recent visits of the Butcher of Gazans, Bibi Netanyahu, and the Daesh Coddler, Recep Erdogan, to the Kremlin, in order to seek concessions in exchange for peace in Syria, which under normal circumstances, they don’t truly deserve. “Those events had taken place in the fifth century BC, we now live in a different world,” Putin said, further suggesting to discuss the actual up-to-date problems in the region. To say not to judge Iran by 5th Century events is logical considering that the Khazarian Jews were literally engaged in daylight robberies during those times. Russia is still mourning on the deaths of its ambassadors in Turkey, US, and elsewhere. The bottomline really is that no one invited the US and Turkish military to be on the ground in Syria. US-Turkey’s plan to establish “safe zones” inside Syria wouldn’t be any different. … On Thursday, the US-led coalition confirmed that around 400 American marines and army rangers had arrived in Syria to establish an outpost to support an operation to take the city of Raqqa. The new contingent adds to the 500 US troops already in Syria. The US invasion in Syria is to undermine the influence of Iran, for the glory of the Turkic Khazarian Empire in the region. 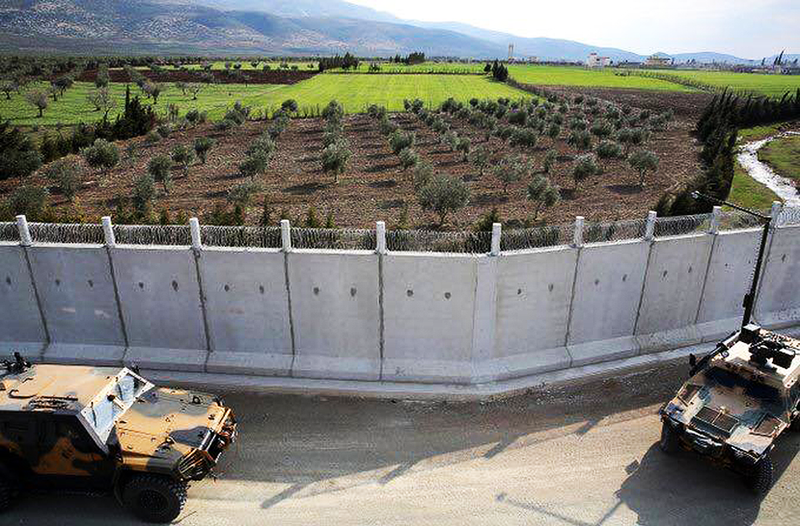 As we posted earlier, the Turkish military has established a border wall that is already encroaching within the Syrian territory. Syrian President Assad is now protesting this to the Khazarian United Nations. 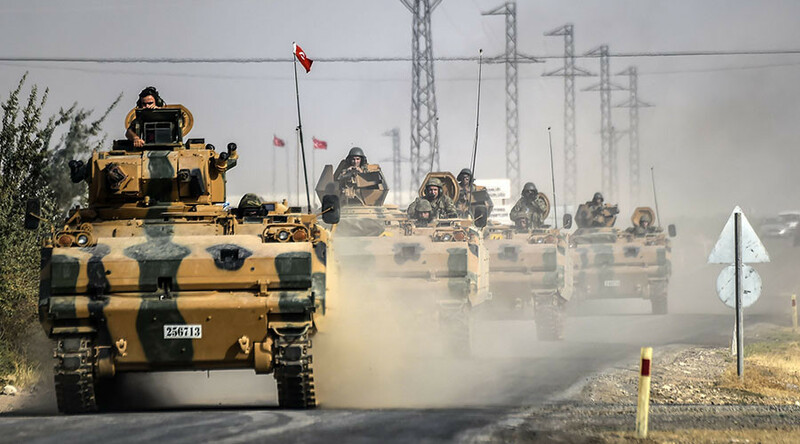 The Syrian government has reportedly complained to the UN about Turkish troops on its territory and has asked the UN Security Council (UNSC) to end “Turkish aggression.” It follows a reported attack on the Syrian Army by Turkish forces. The request came in letters addressed to UN Secretary General António Guterres and the chair of the UN Security Council, currently the UK, the agency said. This solemn request is to make way for another country to start the massive reconstructions of the completely wiped out Syrian cities, some of which trace its existence some millennia back. MOSCOW (Sputnik) – China can take part in reconstruction work in every sector of Syria’s economy when the country starts a comprehensive rebuilding program after its six-year conflict ends, Syrian President Bashar Assad said Saturday. “So, in which sector? In every sector. I mean, China can be in every sector with no exception, because we have damage in every sector,” Assad said in an interview with Chinese Phoenix Television, published by the SANA news agency. Chinese experts are already working in the country, he added, listing urban reconstruction as the main priority for future projects. Further priorities include infrastructure, water and sewage utilities, electricity and energy, Assad said, concluding the list with private and public industrial projects. Assad is wishfully hoping that 2017 will be the last year of the McCain-organized terror invasion in the country. Summing up the facts on the Eurasian grounds, it’s very clear that the “I” on the BRICS is being replaced with Iran, as India’s actions seem to be in sync with Western technocratic tendencies, e.g. cashless society. On the other hand, the “B” on the BRICS has catapulted itself to the Deep State sphere with the successful Wall Street coup against Dilma Rousseff. Nevertheless, the cooperation between Russia, China and Iran is laying down the foundations for a stronger Eurasian continent and in Southeast Asian region, which also prefers multipolarity in world affairs. Trump’s early decision to scrap the TPP is also decapitating the globalists’ ambitions to profit on cheap labor, and continue the systematic destruction of the quality of life in the West. B.R.I.C.S is Good “UN” NOT! MOSSAD requires a major bite from the funds secreted from U.S. accounts into bank accounts that feed directly to Khazarian Mafia leadership. Whether president Trump will be able to wield the required authority to curtail the money-drain from the U.S. treasury to the Khazarian Mafia and MOSSAD remains to be seen. E.U. dictator, Angela Merkel is absent ? – the old standard, hanging, seems appropriate to me. 1) The Rothschild’s 400 year goal of a New World Order / Totalitarian State & depopulation plans are over. 5) 46 Department of State “cabal lawyers” asked to resign or be fired. 7) States are looking at putting in “Infringement” clauses into their laws to stop government over reach. Some say crucifixion…others want hanging…for hiding and distortion of humanities past & real identity cover-up…along with the truth of E.T. creatures. Enjoy the way you put each part in order. 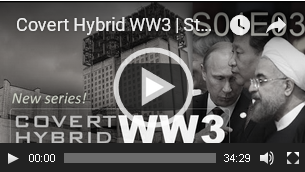 Russia was side-lined by the G-US puppets due to the 3.6 billion people represented by BRICS. The US led sanctions against Russia back-fired due to the economic strength of the BRICS nations. We know the UN was originally intended to be multi-polar by reading the Declaration of Human Rights. It failed when the US blatantly attacked and/or removed elected leaders from 65+ nations since WW II. The Soviet Union (USSR) was not exactly innocent either during the 1950’s and 1960’s. 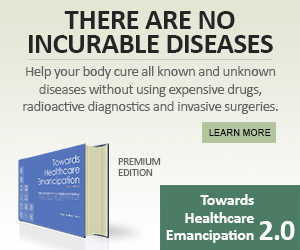 BRICS nations have no veto power over one another. The veto is the major failure of the UN. According to the 2016 report I read from BRICS an additional 22 nations have economic ties. Funny, in a good way, you mentioned Iran. The first time President Hassan Rouhani spoke at the United Nations his speech was brilliantly multi-polar. Unknown to most people living in western nations Rouhani is a scholar and lawyer. You and I know the media never let the facts get in the way of their entertainment disguised as news. Thank you for giving my mind a kick start this morning. The real situation in Syria is discussed here. Netanyahu pretending to be a Hebrew though not calling himself an Israelite. Really sickening stuff.